Our Story : About Foremost Repairs ! If you choose not to have us repair your appliance, you only pay the trip and diagnostic fee Which Is $59.95 , if you choose to have us go ahead with the quoted repair, then the $59.95 trip and diagnostic fee is apply towards Parts & Labor and you pay the quoted cost for the completed repair. We stand by our repairs, with a full 3 Months parts and labor warranty! 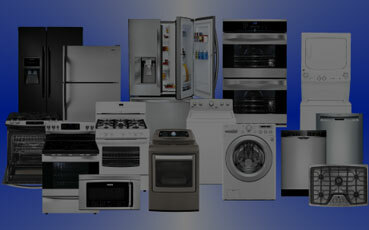 Foremost Appliance Repair has one of the best repair warranties in the business. Most manufactures only give a 30 to 60 day warranty on the replacement part on a repair and most repair companies only give a 30 to 60 day labor warranty as well. We Always Give 90 Days Warranty On Replacement Parts & Labor .In Case of Call Back we Never Charge For 2nd Trip Charge & Repair unless is Different Problem Or Different Appliance. Foremost Repair company locally owned and operated, Technicians are professionally dressed and well trained, are their vans clearly marked with the company name and are they well stocked, They protect your property and respect your home by wearing shoe covers, Use tool mats and floor protection . Foremost Appliance Repair protect our customers . Call us today and see for yourself what a difference these qualities can make great value. 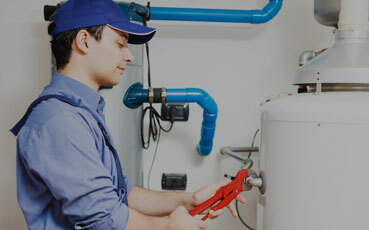 Foremost Repairs was founded with a simple goal: provide convenient, high-quality appliance and HVAC repair services to the Virginia, Maryland and DC Metro area at an affordable price. With today's computerized appliances, service and repair is necessary more often and the service and repairs are more complicated. You may find yourself with your clothes locked in a front loading washer that is still full of water, won't drain and can't be opened. Without timely, correct washer service and repair, your clothes can ruin very quickly. A Refrigerator that needs service or repair can mean the loss of food for your family . You need an Appliance service & repair that understands the importance of timely response , skilled technicians and excellent customer service . For that, FOREMOST REPAIRS is the company to call for allof your appliance service & repairs in your area. Foremost Repairs understands that no two schedules are alike. You're busy - and there's never a convenient time for the furnace to break or for the washer to stop spinning. So, we offer same-day service and 24/7 emergency service at no extra charge. We will be there to affordably fix or install your appliance(s) at the time that works best for you. None of us can afford to waste money - especially on costly replacement appliances. So, in addition to our already low rates, Foremost Repairs offers first-time and ongoing savings to you, to help ensure your home's appliances keep running smoothly for as long as possible - including senior citizen, Government and military discounts. Always see our Coupons page for our latest discounts. If the appliance or unit doesn't work after we're done or you're not satisfied with the work completed, you can have us come back and repair it once more - at no repair cost to you. Or, if you don't want it worked on a second time, you'll receive a full refund. All you pay in either case is the service call fee for our time. It's that simple.